A complaint that I hear from points and miles enthusiasts is that they never get targeted for special credit card (or other) offers. I complain about that very same thing! When I first started getting new rewards cards, I would always take steps to limit the sharing of my information. Every new credit card that came in the mail has a brochure regarding policies and rules that govern the new card (interest rates, terms & conditions, etc.) including a privacy brochure with a toll free number to limit sharing. I have always called to make sure I’m not receiving junk mail or outside calls, but that desire for privacy may have cost me some special offers and promotions for new cards. Citi does not limit the number of cards customers can have. Customers are not allowed to get 2 cards in eight days or three cards in 65 days, even if one of them is a business card. Citi has instituted the 8/65/95 rule that governs the time/frequency for credit card applications, which is meant to curb sign up bonus churning. Customers can apply for only one card a week and no more than two cards every two months. To be safe, waiting 65 days is recommended to avoid denials. Customers can only get one business card every 90 days. Again to be safe, waiting 95 days is recommended to avoid being denied. Citi customers cannot get the signup bonus (if you apply) again within 24-months of the first approval – within the same card product family. For example, the ThankYou Prestige, Preferred, Premier are in the same card product family. So if you open a Prestige, you won’t be able to get the bonus on the Premier for another 24-months and vice versa. Citi also resets the 24-month clock both with the open/approval date of the card and the close date of the card. The last Citi rule is the one that has been the most significant for me, as I’ve had several Citi cards either opened or closed within the past 24 months so churning the bonuses has been seemingly impossible. But it’s not, and here’s now I got my last 75k AA offer from Citi. I’ve had various Citi AA cards (personal and business) in the past 2 years and have been waiting patiently for the clock to reset so that I can churn the cards and bonuses again. But there’s a shortcut that I used recently to get a 75,000 mile offer on the Citi AA personal card (inside of the 24 month window). Several months ago, I did some experimenting to see if I could generate a target offer from Citi that might bypass the 24 month anti-churning waiting period. In mid October 2017, I created a new American Airlines AAdvantage frequent flyer account with a fake (well fake to me) name. The fake different phone number, but had my last name, and also my address. I have a couple of extra email accounts that I used for offers and deals, so I used one of those emails for the test. It took some time, or roughly 5 to 5.5 months, but the new account did generate a targeted offer: 60k sign up bonus AA miles without any 24 month language. Very nice! I was in between app-o-rama cycles (generally every 91-95 days), but since I had been gone for over 2 weeks on my trip, had all my credit cards with balances of $0, and hadn’t done any manufactured spending (MS) since I had left (ok I did put in an online, fee gift card order to Simon in the Lufthansa first class lounge on one of my cards….fee free, I couldn’t resist!). But basically I felt like I was on great footing for a new application approval, and hoped that the Citi referral code would override the 4 applications that were submitted less than 90 days ago. With that said, I took the plunge, applied via the phone, and was instantly approved. Yes! But I did a little better…. I called Citi to ask about being matched to this offer since I had applied for the same card less than 48 hours beforehand. After giving them the email that was used in the application, the representative told me that a match would not be an issue. Within 24 hours of the call, I got another email verifying the additional 15,000 point bonus attached to the offer. The bonus offers were a little different though, as the first offer was 60,000 miles for $3,000 spend in 3 months. 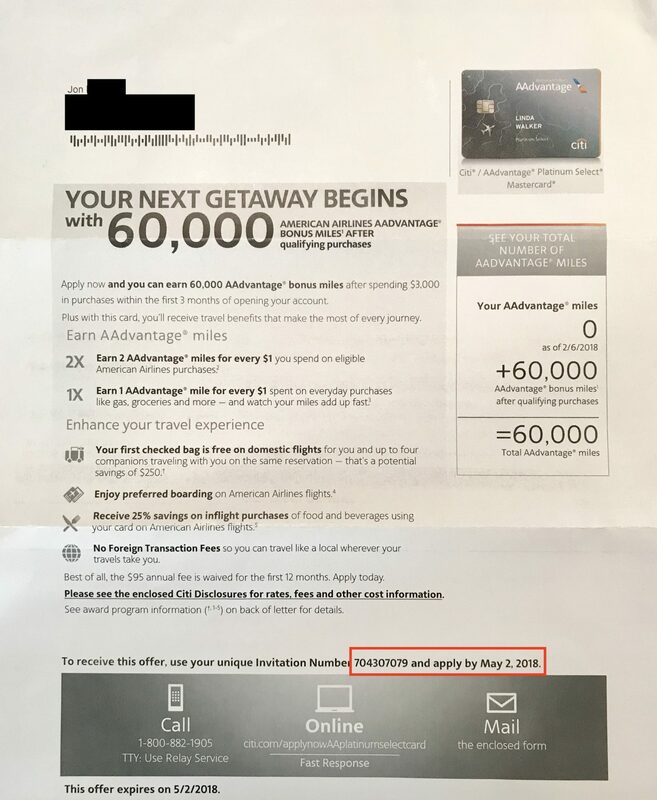 The second (email) offer was for 75,000 miles for $5,000 spend in the first 5 months of opening the account. There’s a $2,000 minimum spend difference in the offers, but also an additional 2 months to fulfill that obligation. The spend isn’t an issue, as there are plenty of options available to meet that. I’m not sure if this is the first AA offer that I’ve received. It’s possible that I was sent something via email or by mail and didn’t notice it or threw it away without opening. There are lots of referral/promotional codes floating around between friends, points groups, and on the internet. I assume that not every code can be used by more than one person for an unlimited amount of time for every bank. Actually finding a code that works, and determining restrictions that may accompany it can take time and turn out to be a bit of a hassle. My time is limited, so I’m just happy that my experiment worked. This probably goes without saying, but this isn’t a new trick, and I did’t invent it, but I know there are plenty of people who aren’t aware of it (and who will benefit from it). Multiple ID’s, email addresses, and phone numbers (via Google Voice) are extremely underestimated factors in creating opportunities for credit card offers and bank bonuses. I used the Citi AA example here, but there are other opportunities as well. In all honesty, I hadn’t made much use of any of those factors until this year, but the efforts are starting to pay dividends. The new bank rules and restrictions are making the points and miles game more difficult, especially those who play in the rewards churning space, so workarounds to accumulating more rewards are becoming more important and significant. The Real Costs of Manufactured Spend? Where Are the Most Beautiful Women in the World? 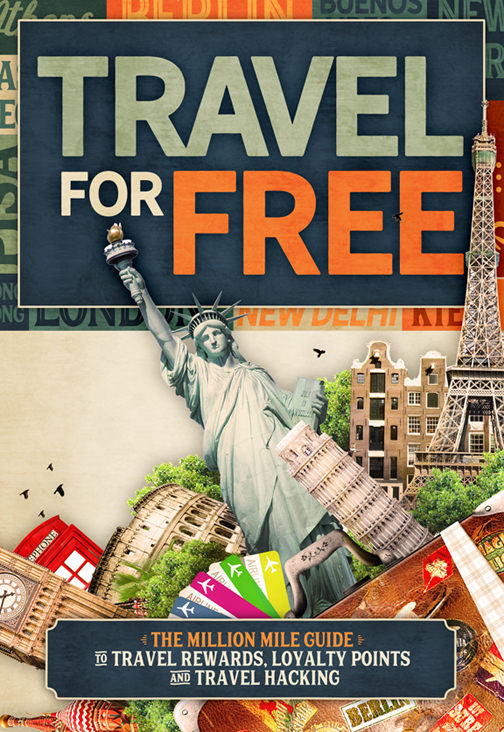 The most comprehensive travel hacking and thrifty travel book in the world. * Learn how to earn free flights, hotel stays, and other travel.